An instant New York Times bestseller ""A haunting, harrowing testament to survival."" -- People Magazine ""An addictive chronicle of a polygamist community."" -- New York Magazine ""Unforgettable"" -- Entertainment Weekly The thirty-ninth of her father's forty-two children, Ruth Wariner grew up in polygamist family on a farm in rural Mexico. 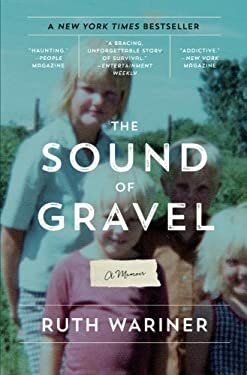 In The Sound of Gravel , she offers an unforgettable portrait of the violence that threatened her community, her family's fierce sense of loyalty, and her own unshakeable belief in the possibility of a better life. An intimate, gripping tale of triumph and courage, The Sound of Gravel is a heart-stopping true story.